This past weekend I attended a writing workshop hosted by Sisters in Crime, presented by Nancy Pickard. 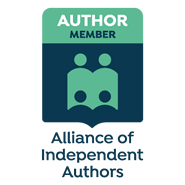 Nancy is one of the founding members and former president of the International level of Sisters in Crime, an organization that supports women mystery writers. She’s also a past board member of Mystery Writers of America. Impressive, right? But you haven’t heard anything yet. She has numerous awards under her writers belt, among them the Agatha, Anthony, Macavity, Barry, and Shamus awards for her short stories–WOW! And there’s more! She’s been nominated four times for the Edgar Allan Poe award, she’s received a Lifetime Achievement award from Malice Domestic, and she’s been a Mary Higgins Clark award finalist. Who better to learn from? And did she have a lot of fantastic advice! In addition to learning how to better be a strong female writer in an industry that leans toward men, I want to share some tips she provided that have served her well in her career. There are five elements every chapter needs to have–Conflict, Action, Surprise, Turn, Senses. Conflict: Old reality vs new reality. In the beginning of the story, something happens that changes what was to what is or will be. A template for a mystery novel contains the protagonist living a normal life that something intrudes upon. The protagonist hesitates to move forward but something else happens that propels them forward into their new reality. It will serve you well to include conflict in your first paragraph. Action: Action propels each scene into the next one, so make sure it’s present in each scene/chapter. Surprise: Try insert a surprise in each chapter, no matter how subtle it may be. The best people to surprise are the protagonist or the reader. Turn: Recognize what your character is feeling as they walk into a scene, even if it’s neutral. Make that emotion turn into something else during that scene. The emotional tone should change in your protagonist within each scene so s/he isn’t simply ambling from one scene into the next and out again. Senses: This is my favorite and in Nancy’s words, the most important. All five senses–taste, touch, sight, smell, hearing–should be incorporated into your writing. She suggested looking at each scene, and if there’s not a few references to the senses, add them. I wondered how to do this so it was natural and didn’t sound forced and was surprised and how many places I could add some of the senses in the few scenes I reviewed. And it added so much more to my story. If you’re having a difficult time, stop where you are, close your eyes and focus on one of the senses at a time. What do you hear? See? Taste? Smell? Feel? Our group was pretty creative with this exercise! Write the letters C.A.S.T.S. on a notecard as well as a separate notecard with each of the five senses. Keep it by your side as you’re writing as a reminder to incorporate all of these elements in each of your scenes. Always check the first sentence. If possible have it contain conflict or one of the five senses. Pay special attention to the first sentence, first paragraph, first scene, first chapter. Take out all the words that weaken your writing–very, that, just, so, etc. Replace weak verbs with strong ones. Backstory and the current one should each be their own story, with a beginning, middle, and an end. Don’t add backstory without a purpose. Take care not to spend too much time setting up a scene. This one kind of speaks for itself. And, as always, what can’t be taught but is so strongly felt, is that camaraderie, that support, that creative energy, those things that can only come from being in a room full of writers. And now, it’s back off to camp. Camp NaNoWriMo, that is. To work on my project, revising book four in the Melanie Hogan mysteries, Shear Murder, by using C.A.S.T. and the five senses. Onward! If you have a dream of writing, that’s wishful thinking. If you have a commitment to writing, that’s the way to make your dreams come true. Sounds like an interesting workshop. I am leery of formulas, but I have to say that the things she’s suggested sound like great advice. I’ll have to test my own material and give it a try.